There are many reasons people get frustrated with SUV drivers. 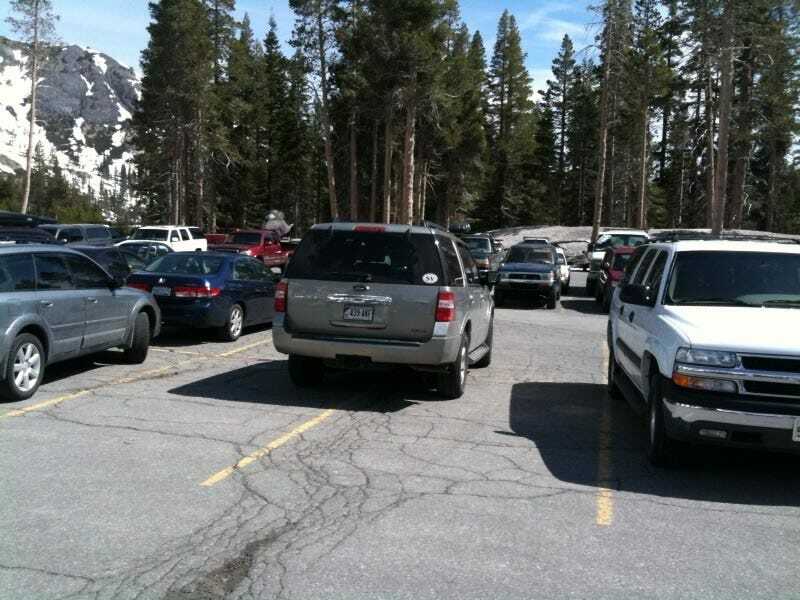 Crowding parking spaces like a linebacker in a port-a-john's one of them, as we see the white Suburban here doing. The gray Expedition taking four spaces? Well that's just asshattery.